A classy Sunday card at Sandown begins with the 188Bet Casino Conditional Jockeys Handicap Hurdle, and Asylo and take the opener. £36,000 purchase after winning a novice over 2m on soft ground at odds as big as 33-1. Demands respect on his handicap bow for a yard in stunning form. Dr Richard Newland is well known for getting his horses right on debut - particularly in recent weeks, and therefore oppose him at your peril. Despite only racing in small fields, Vivas can complete a hat-trick of wins in the Novices Limited Handicap Chase. Chase wins at Fontwell and Plumpton last month looked smart and efficient, and must handle a larger field with nine other rivals today. Jonathan Burke rides for Charlie Longsdon, who team up again in the Veterans Chase. Many of these arrive for the 188Bet Mobile Maiden Hurdle with little or no racecourse experience, but we have picked out Severano for Oliver Sherwood. He made a good impression when winning on debut at Kempton back in February before finishing a good fifth in a Grade 2 bumper at Aintree. Leading claims now switched to hurdles. The feature race of the afternoon is the Future Stars Intermediate Chase, a Listed contest over 3m; the race in which Might Bite won on his seasonal reappearance last season. This time around, Nicky Henderson sends Terrefort to post, who was a dual Grade 1 novice chaser last season. He won here in February over 2m4f in the Isles Novices Chase, and looks the one to beat once more. Last seen at Aintree on Grand National weekend, where he beat Elegant Escape (one of three rivals today) by 12 lengths. Fiona Shaw sends Hollywood Ken to Sandown for this Handicap Hurdle (Two Mile Hurdle Series Qualifier). This 5yo won twice on soft ground for his new stable back in April, and has gone up - a mouthwatering 24lb in the weights. Back from a lay-off, may need the run, but should make the frame. Bryony Frost takes off a valuable 3lb. It would be rude to ignore the horse that this race is named after. 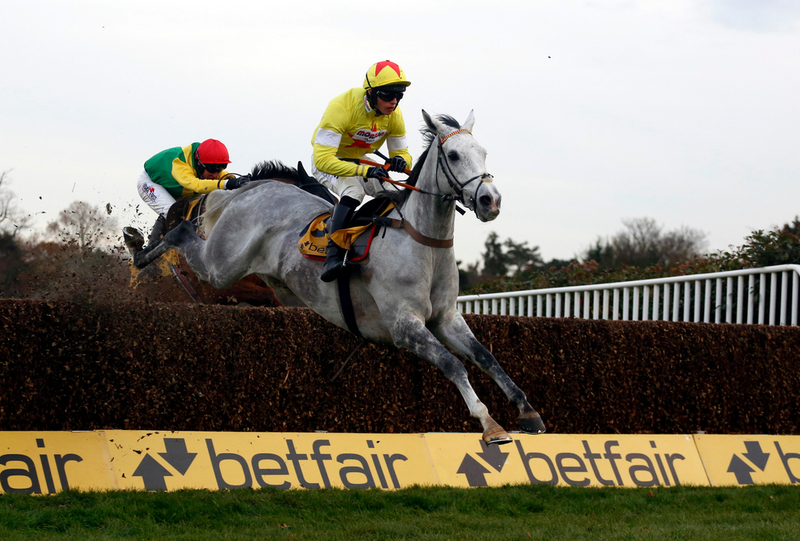 This is the 188Bet Pete The Feat Veterans Handicap Chase, and we are going to stick with the old boy, Pete The Feat. A very popular 14yo, who relishes this course and distance, winning on two of his last three track appearances. Blundered badly early on in this contest last year, but a serious contender should he stand up this fences. A Standard Open National Hunt Flat Race closes a quality day's racing at Sandown, and the finale can go the way of Huntsmans Jog. On his one and only start, he finished a distant second to Nicky Henderson-trained Barbados Blue at Warwick, but trainer has done well with this family (Milan), and worth another go.